Happy Hump Day! Now, I’m not usually one to apologize for not posting as much the past two weeks, but I just want to say, I’ve had an exceptionally difficult week with a cute, but mouthy little 11 year old boy around here. *ahem* I’m not mentioning names though. Let’s just say, this child is itching to be an obnoxious teenager and has started testing those freedom waters very early. I’m guessing 11 is the new 13? Needless to say, the blog has been put on the back burner a little more than I’d like while I try to parent this little person who is currently trying as hard as he can to give me a run for my money. Here’s to a better next week! 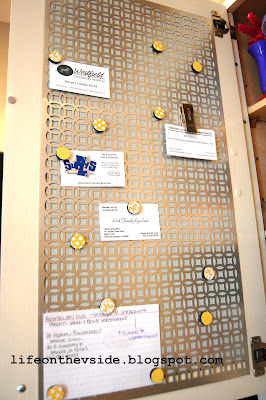 On the V Side made a chic cabinet magnet board and I’m so wanting to do this! This blog consistently puts out great content, BTW, so add her to your reader! 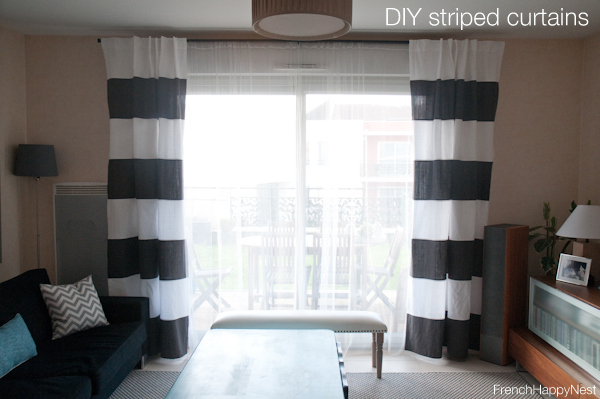 French Happy Nest shows how to make real sewn striped curtains (as opposed to most tutorials that show how to paint them). Smart bathroom makeover from SoulStyle. I’d live here! Being Home made some rolling carts to go under her new bench. Great DIY tutorial if you are in the market to make some yourself. Paint Speckled Pawprints created an accent wall using stone. I’m kinda cray-cray for stone accent walls. Awesome. Managing the Manor turned some crates into a cool shelf and shares an awesome distressing technique. The Project Palace shares how she shows off her most prized artwork – kid art! I want to do this in the gameroom. 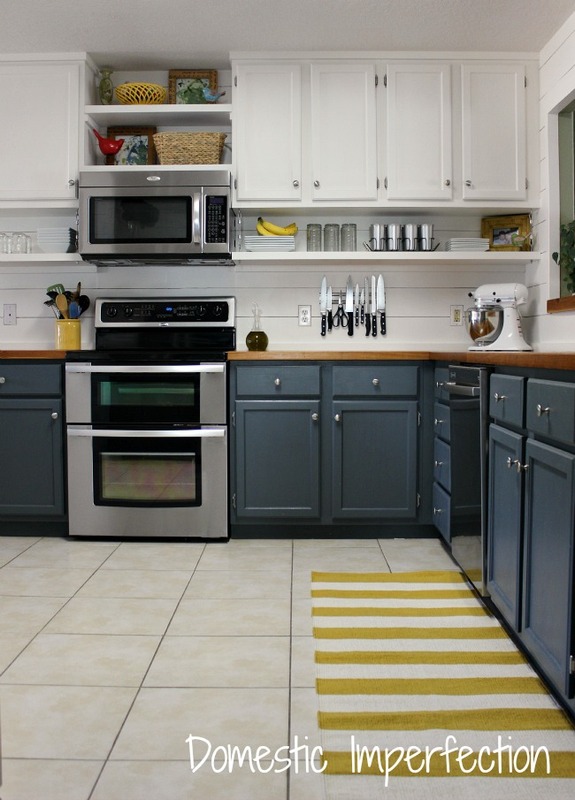 I have been following along with Domestic Imperfection on her kitchen makeover and she is finally done. I seriously am ready to move in. Love this new kitchen so much! 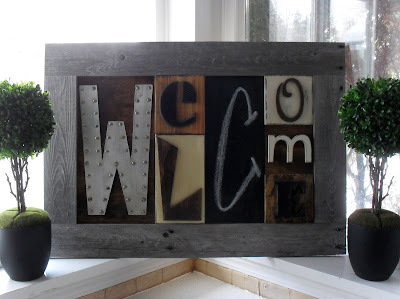 This Welcome sampler from Home Frosting is officially at the top of my to-do list (unless she’ll sell me one!). It’s made from all different types of wood and materials. Very cool, rustic, and fun. 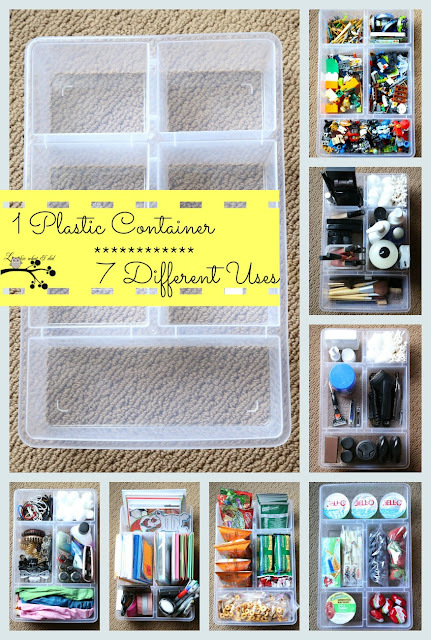 Anyone else get sucked into buying the awesome plastic container from ikea, only to get home and not have a clue where to use it? Ya, me too. Fortunately Lookie What I Did shares 7 really really great ways to use it. I’m inspired. Ardent Hands Designs refinished an old vintage metal rusted out school desk and I’m ga-ga for it. I love the herringbone accent on it. Thanks so much for hosting this awesome party! I look forward to this every week! I want to come live at your house!! Can we be friends? Thanks for the party. Enjoy your week! Thank you so much for hosting your great party! Have a great week! 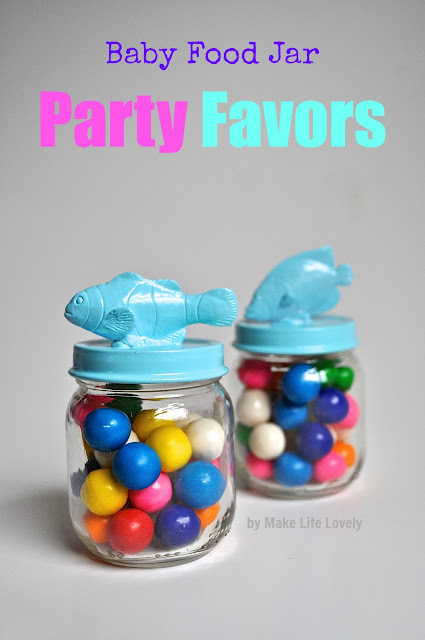 Thank you so much for sharing my baby food jar party favors! And thanks for hosting the party! Have a great week!! Thanks for the wonderful party Allison! Have a GREAT day! Hi Allison, I can feel for you with your blossoming teenager. 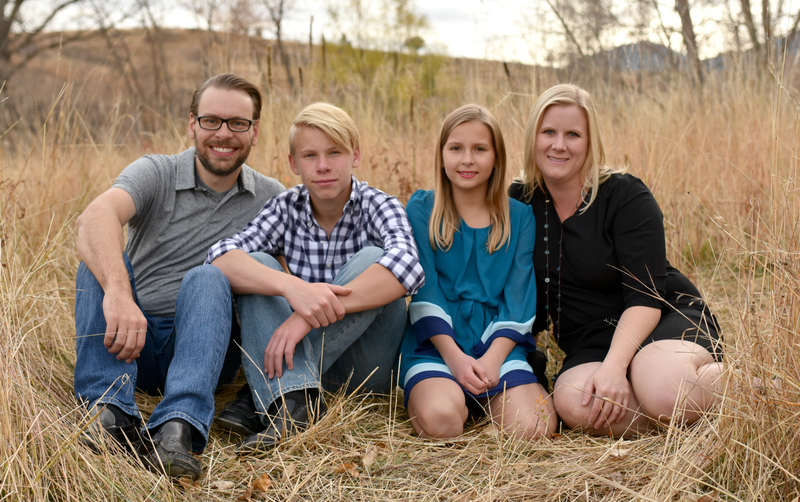 I have 5 kids and they have each had their moments of testing the waters over the years. Keep the faith and stay strong. Thanks for hosting the party. I have linked up and look forward to visiting some of the other links. I am starting a new party this Saturday called ‘Saturday Sparks’ and would love to have you stop by. Thanks so much for hosting :o) Loving the inspiration this week! Anyways, thanks for hosting, have a GREAT day!! Thank you so much for hosting this lovely party. I so appreciate you taking the time in doing this. Have a great day!!! I’m so glad I found this!!! More ideas to add to my inspiration book and try out!!! 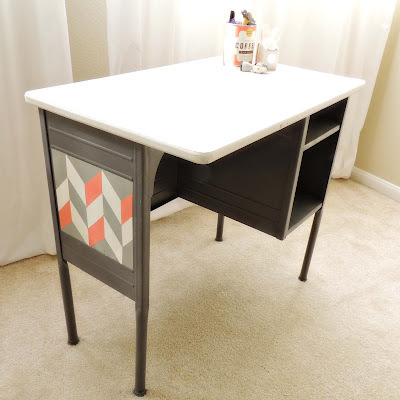 Thanks so much for featuring my little desk. I had so much fun working on it. Have a great day – Thanks again! Thanks for the feature! Its so exciting to be featured along side such talented bloggers! Alison, thanks for another great party! thanks much for this fab party! Thanks for the kitchen feature! It sure feels good to be at a stopping point after working on it for so long. Not that that means anything…. I have to admit that I have been eyeing some new lighting pretty intensely. And I know I’m really late on this, but I love your new header! Thanks so much for hosting the party again Alison!